ATN Channel Seven. 1961. Producer/Director: Peter MacFarlane. Theme: Julien Lee. Music Director: Tommy Tycho. LP (ST)	Pye. PLP-1093. (m). 1962. 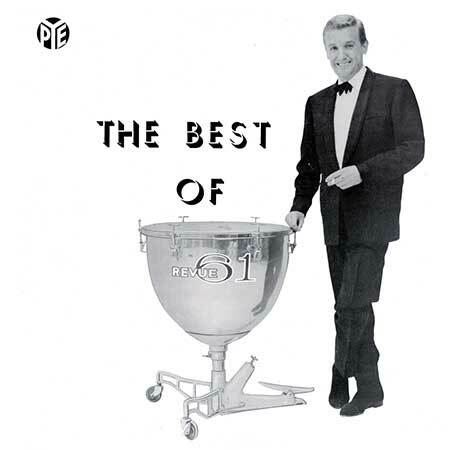 “THE BEST OF REVUE ’61”. With The Revue 20 and the augmented A.T.N. Orchestra under the Direction of Tommy Tycho. Arr: Julian Lee except * by Tommy Tycho and ** by Jack Grimsley. (Bernstein). Introduced by Digby Wolfe. When The Saints Go Marching In. (3:20). 2: Hit Parade 1955. (2:49). 4: Isn’t This A Lovely Day. * (1:59). 1: Big Noise From Winnetka. (2:30). (Haggart - Bouduc). (Raskin). v: Claire Poole. (Albert). 3: Hernando’s Hideaway. (Pyjama Game). * (2:42). 4: Roaring 20s Sing Along. (2:34). 6: Swing Low, Sweet Chariot. * (1:52). 24 Hours To Sunshine. (DeRose).